Sad story about you gearbox, wixh you luck to solve your problem, your car is very beautyful. Alfan wrote: Not good, but it seems that the locking mechanism does not work properly, since you could do this in the first place. You're quite right Alfan - I took the Q4 to a specialist mechanic last week who said he was sure it was the bushes in the gear linkage that were to blame. As soon as I told him the car had a Getrag gearbox he said he knew it wouldn't be the gearbox itself that was causing the problem as they're apparently very well made and very tough. Reverse isn't working at the moment, and 5th has never worked since I have owned the car; the mechanic had all 6 gears working, plus reverse. So it can't be the gearbox! New gear linkage bushings are on their way. Fingers crossed! Hi there, thanks for the compliment! 164EVER wrote: Sad story about you gearbox, wixh you luck to solve your problem, your car is very beautyful. Hopefully my new rubber bushings will fix the problem, I'm replacing 4, three of which are apparently very worn. More exciting news by the way guys - today I will pick the Q4 up from a local stainless exhaust manufacturing specialist. I made the booking two months ago (he works alone and has a long waiting list) so I really can't wait to hear it. He's sent me a list of the work he's done so far - the design has changed slightly from standard and he's experimented a bit. I'll post a video at some point. I can't wait! 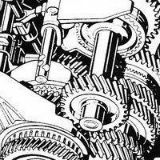 Great reading and glad to hear the gearbox is not a major failure (which by the way, I have never read in my 10 years of coming to the 164 websites; the remaining new Getrag gearboxes on Ebay seem to remain unsold for that reason?). And now the exhaust; yes please, video/sound! Unfortunately the bushes didn't solve the problem. The problem has actually got worse now, to the point where the car is permanently stuck in reverse gear. So I'm going to start removing the gearbox this weekend so I can let a specialist mechanic take a look at it. Hopefully it can be fixed, but we will see. I'll fit a replacement clutch while I do this work too. You mean seriously considering selling? Difficult to reply that question; good 164s are harder to come by but the demand remains limited to a relatively small group of enthusiasts. Certainly good ones are not changing hands for peanuts anymore but even pristine, low-mileage, 1-owner Q4s hardly exceed EUR 20k (I recall the one auctioned off in Paris in 2014 (Artcurial: it reached 19,759 PND). How the market views the "Savali"-version? I would consider that an advantage but other people may think that it takes away from the originality. OK, all that doesn't help you with getting to a figure but let me throw in a wide range guesstimate: anywhere between PND 5,000-10,000. I may be off the mark with that as I'm sitting here in Asia but just based on classifieds I read on the web and fora. But..., are you really contemplating this, now you're almost ready getting it perfect? I read again and again of (ex)164-owners who regret selling theirs and want to come back into 164-ownership and are disappointed that they can not find a good one anymore for a reasonable price. I can tell you Haydn it's worth about 10 quid and in such case I can offer you my generous support and will buy gladly sight unseen. I do envy you your Savali engine. It's the ultimate rare option of all options from the period. Current amount of cars with said engine on sale is zero and out of just over a thousand Q4s produced you can imagine how rare the Savali ones are. Keep it, love it and hate it. Shame about the gearbox, I hope you find a good and not too expensive solution! Hi guys, apologies for the delay in posting here. I'll start by replying to your posts. alfa east wrote: You mean seriously considering selling? Difficult to reply that question; good 164s are harder to come by but the demand remains limited to a relatively small group of enthusiasts. Certainly good ones are not changing hands for peanuts anymore but even pristine, low-mileage, 1-owner Q4s hardly exceed EUR 20k (I recall the one auctioned off in Paris in 2014 (Artcurial: it reached 19,759 PND). Well I must admit I'm thinking about it, though I think that I was getting a bit frustrated when I posted that comment. Realistically I'll keep the car for a while. But it would be good to have a rough idea of its value anyway, and I agree with you when you say it's difficult to value. One thing I know for certain is that I would regret selling it, probably much more than I think... It really puts a smile on my face when it's working. AlfaWhiz wrote: I can tell you Haydn it's worth about 10 quid and in such case I can offer you my generous support and will buy gladly sight unseen. That sounds like a good deal, where do I sign? Thanks Alfan, I suppose to me it is rather priceless with the work I've done and the car's specification. As I said above, it's a car that I wouldn't be able to replace if I were to sell it. So I know I would hugely regret a sale. But I know the money would let me finish my other project too! So, here's the latest update on the situation with the Alfa. I used a pair of mole grips to turn the gearbox input shaft (with a piece of old rag to protect the teeth on the shaft). In reverse gear and neutral the shaft turns freely in both directions, and the power take off shaft turns too (so my 4WD problem must be something to do with the viscomatic differential - hopefully an electrical issue?). However, in any forward gears the shaft does not turn at all, it's completely jammed. So there is my problem. The gearbox has been left with a specialist gearbox repairer who will take a look at it over the next week or so. They said they have never seen a gearbox quite like it (though they're familiar with Getrag boxes) but they seemed happy to have a go at inspecting (and hopefully repairing) the gearbox. I'm going to replace the clutch too obviously. I thought my clutch would be badly worn, but it looks ok? I measured the width of the friction plate with my micrometer and it measured roughly 7.8mm, minimum thickness is 5.9mm, so I was surprised by this. Perhaps my clutch just needed to be bled again, we will see I suppose. While I was preparing the engine for removal, a present arrived for my Q4, can anyone guess what it is? AlfaWhiz wrote it much more eloquent and concise than I did and his "Keep it, love it and hate it" sums it up perfectly. Good to see that you got over the "hate it"-period and are back in the "keep it" time zone. Hopefully, soon the "love it"-times will be there again! A present?? Skirt set to replace your skirt set???? alfa east wrote: AlfaWhiz wrote it much more eloquent and concise than I did and his "Keep it, love it and hate it" sums it up perfectly. Yeah I thought he summed it up really well, that phrase applies nicely to 164 ownership! I hope so too, it won't be long now. Correct It's a full Zender kit. The front lip, rear lip and skirts are brand new, never fitted. The boot spoiler has been fitted but is still in good condition. I've been looking for parts for this kit for years, they never come up for sale, so to find a full kit was an opportunity I couldn't miss. The timing is slightly unfortunate though - I agreed to buy the kit back in January, while my Q4 was still working, but by the time the seller and I had finalised the purchase the Q4 had broken. Oh well. I don't need the rear boot spoiler as I already have one that I bought from Alfan. So if somebody wants it, let me know. It's black, condition is probably 7/10, and it's the version without the third brake light. I hope the gearbox guru can figure it out. Please have them take photos of it and get a proper explanation of the reason for the problem! Progress is a little slow at the moment because I've been spending a bit more time with the Maserati which will hopefully be running next month (at last). I have the gearbox back now - the problem was that the reverse gear selector fork had broken, which I am told is most likely due to a loose bolt that was discovered during disassembly of the gearbox. You can't buy the specific parts for this gearbox as I'm sure all Q4 owners will be aware, but the company made a few calls anyway. It was good of them to try, but no luck. So, my reverse selector fork was removed, welded by a professional welder, and then reinstalled. They replaced one or two other bits while they were in there using parts from a spare Getrag box they had. I have to say, the movement of the selector shaft (the part entering the top of the gearbox) feels so much better now. I haven't put the gearbox back together with the engine yet as I made a silly mistake.... I wasn't concentrating on what I was doing! I was ready to install a new clutch kit, and while talking to somebody I pressed the release bearing into the pressure plate without thinking.... it can't be installed this way, which I immediately realised. So I'll have to remove it, probably by very carefully cutting it out using a dremel. Oh well. I think I got confused as I have been reading up on the clutch procedure for the Maserati, where the parts are installed onto the gearbox first and then bolted to the flywheel after the engine and 'box are back together (I think). Anyway, the good news is that I can buy another clutch releaser for around £40. Last edited by HaydnW92 on Tue Jul 18, 2017 12:03 pm, edited 1 time in total. Quick update: I've just bought a new release bearing for £14.57, I'm quite happy with that hopefully it will be identical to my current release bearing, though it should, be based on part numbers. Thumbs up! Seems you got a good address for both the parts as well as the guys checking your gearbox! Great to hear that the gearbox was fixable Did you get them to take photos?? And thanks for the info on the clutch. I completely forgot to ask them for pictures, by the time I had seen your request the gearbox was already with them Alfan. Sorry! In fact, I have a question for you Alfan. My engine and gearbox are now connected back together as of this afternoon. However I can't move the gear selector far enough to engage any of the gears. I think it moves about 2/3 of the way and if you then let go of it, the selector returns to neutral. Before I took the engine out of the car, I could move the selector into all of the gears (but of course the gearbox would remain stuck in reverse gear due to the selector fork problem). Is this correct? I'm no expert on gearboxes so I'm not sure what to make of this. It has a new clutch fitted as well. I assume you have mounted it all back in the car, so it could be something blocking its path? Did the workshop test that all parts could move, after fixing it? I don't think this is regular behaviour, as I have not experienced it, but I am not sure! That's correct Alfan. I could move the selector that comes out of the top of the gearbox, but not enough to engage any gears. It would just spring back to neutral every time. The engine and gearbox are not fitted back in the car yet, I decided to do some final checks before I put it back in. I'm glad I did! I think it's something to do with the clutch fork and the release bearing. I don't think the bearing is currently locked into the pressure plate, but once I have put the engine back in the car and bled the clutch I think the bearing will click into place properly under the hydraulic pressure from the slave cylinder. Hopefully this will fix the problem. If it doesn't fix the problem... I don't know what I'll do with the car, as I really don't want to fix it AGAIN! Sometimes it's difficult to engage gears with crank/input shaft stationary. I would say try engaging all gears with someone else rotating the crank so that gearbox input shaft is spinning slightly and synchros can get some movement. If all gears do not engage correctly, no point in putting engine/gearbox back into the car in my opinion. Don't get discouraged, you know very well it's often 2 steps forward, 1 step back with those cars. With a bit of patience all will be well soon I'm sure. I agree Alfawhiz, I'll spend some more time with the engine and gearbox to see if I can understand exactly what's happening. 2) Release bearing not currently 'pressed in' on the pressure plate? Not much to report...waiting on some assistance (hopefully next week) to put the engine and gearbox safely back in the car. In case you missed it, I've listed my 164 Zender bodykit for sale in the classifieds section of the forum. Did you figure out how to engage all gears? The fuel pump is definitely working, I can hear it when turning the ignition on and there's fuel reaching the fuel rail with good pressure. I've not tested it with a gauge but if I loosen one of the fuel pipes and turn the ignition on, fuel sprays out, so the pressure must be pretty good? I thought the crank sensor could be at fault but having bought a cheap replacement to test my theory, it seems I'm wrong. It must be something else. Oh well. The good news is that with the clutch pressed down I can select all gears and they feel much tighter than before.